Maybe he found comfort in owning his equally good H6C Vanvooren «faux cabriolet », but Ustinov’s love affair with prewar rolling marvels didn‘t stop there. He also owned a legendary Mercedes 680 S (the holy grail of any Mercedes enthusiast), bodied as a very long and low torpedo. A true jewel that can be admired now at the National Motor Museum at Beaulieu. Perhaps the purchase of the Sindelfingen Kompressor torpedo had been influenced by his childhood in London, when Ustinov had Von Ribbentrop’s son as a schoolmate. I remember very well a TV show, dedicated to the actor, in which he was recalling the Nazi‘s Mercedes arrival at school. Seventy years on he was still able to impersonate the sound of the supercharged engine. Had he been so impressed by the sound of the supercharger that he had to own one? Anyway, owning and driving such a great car was worth the experience of its erratic brakes, don’t you think? Next to the Hispanos, Mercedes, Astons and Maseratis, Sir Peter owned at some point in time a 1938 Delage drophead coupe (apparently he liked driving under the open sky), with a badge in the engine bay saying: “If you use oil which is too heavy, many bad things will happen to you.” – no doubt a great advice. 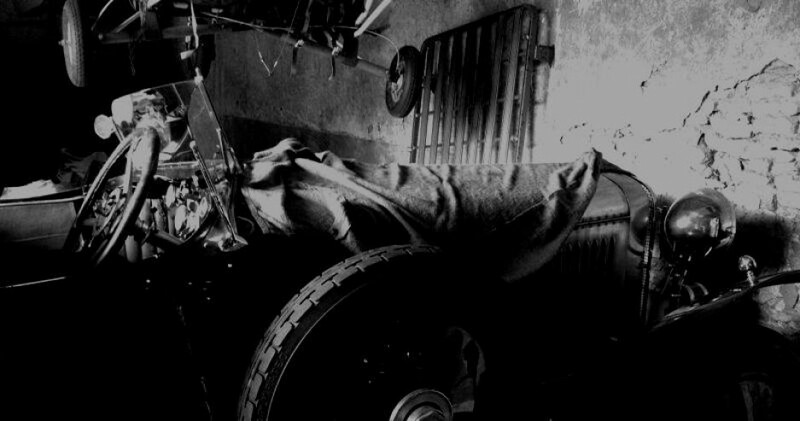 He used the lovely French car (fitted with an electromagnetic Cotal gearbox) for many years as a daily driver, going from one film set to the other throughout all of Europe. Eventually these great prewar marvels made room, in the garage of this knighted British actor, for more modern cars: several Maseratis, like a Mexico coupé and many Quattroportes, Mercedes saloons, BMW 750 and even a humble DAF, fitted with a Variomatic gearbox. As everyone knows, Sir Peter Ustinov was a great actor, but who among the readers of CHB was aware that he considered himself first of all a true petrolhead?